Usually when we work with a neural network we treat it as a black box. We can pull a few knobs and levers (learning rate, weight decay, etc.) but for the most part we’re stuck looking at the inputs and outputs to the network. For most of us this means we simply plot loss and maybe a target metric like accuracy as training progresses. This state of affairs will leave almost anyone from a software background feeling a little empty. After all, we’re used to writing code in which we try to understand every bit of internal state. And if something goes wrong, we can always use a debugger to step inside and see exactly what’s going on. While we’re never going to get to that point with neural networks, it feels like we should at least be able to take a step in that direction. To that end, let’s try taking a look at the internal activations of our neural network. Recall that a neural network is divided up into many layers, each with intermediate output activations. Our goal will be to simply visualize those activations as training progresses. For this we’ll use fastai’s HookCallback, but since fastai abstracts over PyTorch, the same general approach would work for PyTorch as well. First we’ll start by defining a StoreHook class that initializes itself at the beginning of training and keeps track of output activations after each batch. However, instead of saving each output activation (there can be tens of thousands) let’s use .histc() to count the number of activations across 40 different ranges (or buckets). This allows us to determine whether most activations are high or low without having to keep them all around. Next we’ll define a method that simply creates a StoreHook for a given module in our neural network. We attach our StoreHook​ as a callback for our fastai cnn_learner. And that’s pretty much it. Despite not being much code, we’ve got everything we need to monitor the activations of any module on any learner. We’ll instrument conv1, conv2_x, conv3_x, conv4_x, and conv5_x. The y-axis represents the magnitude of activations. More blue indicates fewer activations at that magnitude. If you look very closely at the beginning, most activations start out near zero and as training progresses they quickly become more evenly distributed. This is probably a good thing and our low error rate confirms this. So if this is what “good” learning looks like, what does “bad” learning look like? This time as we move through time we see that our activations trend downward toward zero. This is probably bad. If most of our activations are zero then the gradients for these units will also be zero and the network will never be able to update these bad units. The above example was a little contrived. Will plotting these activations ever actually be useful? Recently I’ve been working on Kaggle’s Freesound Audio Tagging challenge in which contestants try to determine what sounds are present in a given audio clip. By converting all the sounds into spectrograms we can rephrase this problem as an image recognition problem and use ResNet-18 against it. This seems even weirder than before. None of our layers have evenly distributed distributions of activations and the first layer looks completely broken. Almost all of the first layer’s activations are near zero! After reflecting on this problem I realized that the problem was I was using discriminitive learning rates. That is, I train the early layers with a very small learning rate of 1e-6 and the latter layers with a larger rate of 1e-2. This approach is very useful when training a network that had been pretrained on another dataset such as ImagetNet. However in this particular competition we weren’t allowed to use a pretrained model! In essence this meant that after randomly initializing the first few layers, they weren’t able to learn anything because the learning rate was so small. Much better! Our activations started off near zero but we can clearly see that they change as learning progresses. Even our latter layers seem to distribute their activations in a much more balanced way. Not only do our activations look better, but our network’s score improved as well. This single change improved the f_score of my model from 0.238104 to 0.468753 with a corresponding improvement in loss. When you set out to learn about machine learning you’re usually told about the importance of creating a good training, validation and test set. The training set will seem important (we need a good set of data to train on) the test set will seem important (we need a good, fair way to compare our model to other models) but the validation set… well… it doesn’t seem that important. 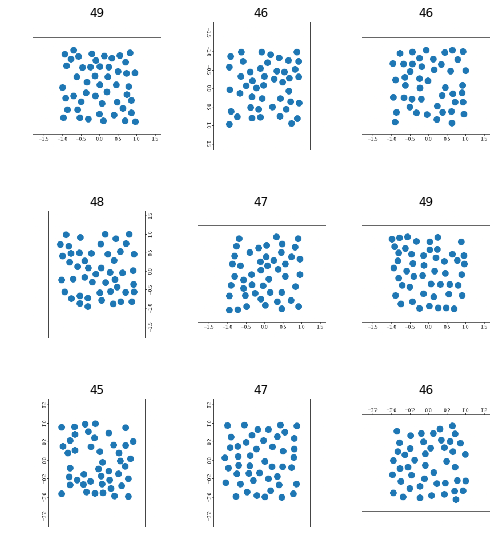 Students are usually so overwhelmed with other aspects of data science that they simply create their validation set by randomly sampling from the original training set. Indeed on many of the standard benchmark datasets (CIFAR 10, ImageNet, MNIST etc.) random sampling is a perfectly fine way to create a validation set. The training set and test set come from roughly the same distribution so your randomly sampled validation set is a good proxy for the test set. Typically when your model improves on your validation set, you’ll also see improvements on your test set. A recurring theme I see on Kaggle competitions is that how you create you validation set actually matters. For starters, let’s take a look at what happens when we don’t put in the effort to create a good validation set. In total there were roughly 200,000 96x96 images in the training set and the labels were evenly balanced. My first approach (guided by years of effective laziness) was to simply create a random validation set using fastai’s split_by_rand_pct. It had served me well in the past, so it wouldn’t let me down here, right? Below is a plot of test scores vs. validation scores. Note that as validation score increases, test score does not. There is no clear relationship between the two (except perhaps a slightly negative one). This is a big problem. Many training approaches use validation score to determine the “best” set of weights for a given model. As it stands, an improvement on our validation score does not guarantee us an improvement on the test score. While reading the discussion forums on Kaggle I came across SM’s recommendation for a validation set. Instead of sampling randomly, we should group images based on the slide they were taken from and then remove entire slides from our training set. The images from these slides would make up our validation set. In retrospect this makes sense. Originally we were training our dataset on images that came from the same slides as those in our validation set. When it came time to run our model on the test set we were likely seeing images from slides we’d never seen before. Clearly the relationship between validation score and test scores is much stronger now that we’ve improved our validation set! When we improve our model locally we can expect that we’ll see an improvement on our leaderboard/test score. Last month I participated in my first Kaggle competition: Microsoft Malware Prediction. Competitors were given a single train.csv that contained information about millions of people’s PCs. This information included things like screen size, operating system version and various security settings. Competitors were tasked with predicting whether or not a given computer was likely to have been infected with malware. Seeing as this was my first Kaggle competition and I didn’t really know what I was doing I started off by heading to look at other user’s public kernels. This is where users share tricks and tips that worked for them. While you’re obviously not going find a solution that wins you the competition, it’s the perfect place for a beginner like myself to start out. This plot clearly shows that windows2016 is probably a category that might have some degree of predictive power. However this plot also tells us that there are just 14,000 examples of windows2016 out of a total ~9,000,000 so it’s not going to be super useful. Being able to look at columns quickly like this feels like it will be super useful in future competitions and I have incorporated this approach into my KaggleUtils library. Creating a good validation set should be my first priority. On this competition (and a few others I’ve participated in since) this one lesson keeps coming up again and again: You cannot build a good model without a good validation set. It is hard to do, it is tedious to do, but without it you are going into each contest blind. After exploring the data and getting a sense of what each column meant, it was time to clean the data. This meant dropping columns that wouldn’t help us predict whether a computer had malware. In my case this meant columns that were entirely unique (MachineId) or columns that had >99.99% the same value. I also dropped categories within columns if those categories were not present in the test set. My thoughts were that if a category wasn’t present in the test set (say a version of Windows Defender) then coming to depend on it for our predictions would hurt performance in the test set. Finally, I grouped categories that had very small (< 1000) examples in the training set. I figured categories with few examples wouldn’t help us gain much of a predictive edge so I grouped all of these tiny categories into a single OTHER category. Next I incorporated dates into my training set. After mapping Windows Defender version to dates, I broke those dates into categories like Month, Day and DayOfWeek. I don’t believe this helped my model but it’s an approach I would use in future competitions where predictions might depend on these sorts of things (For example predicting a store’s revenue might depend on whether or not it’s payday). While everyone successful in this competition used an LGBM, I chose to use a neural network simply because it was what I was most familiar with. I actually started an LGBM approach of my own but didn’t complete it. I wish I had seen it through because it would have helped me understand if my data cleaning approaches gave me any kind of edge. The data for this competition was largely categorical so LGBM was very well suited to the task. I used neural networks simply because that was what I was familiar with after recently going through fast.ai’s course. There was a lot of room for improvement in how I approached this problem and ran my experiments. By far the most important change would be to create a validation set with the proper distribution. Some of the kernels even demonstrated how to do this, but out of a personal laziness I ignored them. While exploring hyperparameters I would often just make arbitrary changes I hoped would improve things. Despite using source control I had very little infrastructure to make reproducible runs. I think using this approach would really help me handle my changes in a more manageable way. Running out of memory was an ongoing problem in this competition. Once EDA was complete I should have focused on shrinking the data’s size. Alternatively I should just buy more RAM. Although I’m glad I explored my approach with neural networks it was clear that LGBM models were superior on this task. I should have at least tried them out and submitted some predictions. Moving forward it would be useful to have a set of common tools for data exploration and cleaning. Many EDA tasks are similar across different competitions so having a semi-standardized approach seems like it would be a huge help. For this reason I’ve started working on a set of Kaggle Utilities. Ultimately I scored 1,309th out of 2,426 competitors so there was nothing to write home about. I am overall happy with the experience and I’m confident on future competitions I can improve my scores and placements by being diligent and grinding through some of the tedious elements of data science. In Part I, we saw a few examples of image classification. In particular counting objects seemed to be difficult for convolutional neural networks. After sharing my work on the fast.ai forums, I received a few suggestions and requests for further investigation. Now we can create a learner and train it on this new dataset. Wow! Look at that, this time we’re getting 100% accuracy. It looks like if we throw enough data at it (and use proper transforms) this is a problem that can actually be trivially solved by convolutional neural networks. I honestly did not expect that at all going into this. One drawback of our previous dataset is that the objects we’re counting are all the same size. Is it possible this is making the task too easy? Let’s try creating a dataset with circles of various sizes. Once again we can create a dataset this way and train a convolutional learner on it. Complete code on GitHub. Still works! Once again I’m surprised. I had very little hope for this problem but these networks seem to have absolutely no issue with solving this. This runs completely contrary to my expectations. I didn’t think we could count objects by classifying images. I should note that the network isn’t “counting” anything here, it’s simply putting each image into the class it thinks it would belong to. For example, if we showed it an example with 10 images, it would have to classify it as either “45”, “46”, “47”, “48” or “49”. 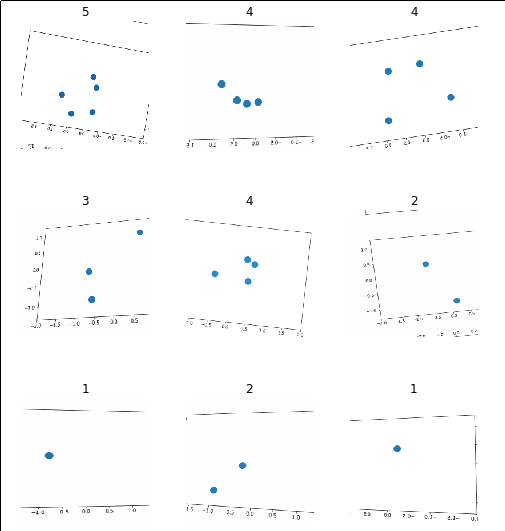 More generally, counting would probably make more sense as a regression problem than a classification problem. Still, this could be useful when trying to distinguish between object counts of a fixed and guaranteed range. Over the last year I focused on what some call a “bottom-up” approach to studying deep learning. I reviewed linear algebra and calculus. I read Ian Goodfellow’s book “Deep Learning”. I built AlexNet, VGG and Inception architectures with TensorFlow. While this approach helped me learn the bits and bytes of deep learning, I often felt too caught up in the details to create anything useful. For example, when reproducing a paper on superconvergence, I built my own ResNet from scratch. Instead of spending time running useful experiments, I found myself debugging my implementation and constantly unsure if I’d made some small mistake. It now looks like I did make some sort of implementation error as the paper was successfully reproduced by fast.ai and integrated into fast.ai’s framework for deep learning. With all of this weighing on my mind I found it interesting that fast.ai advertised a “top-down” approach to deep learning. Instead of starting with the nuts and bolts of deep learning, they instead first seek to answer the question “How can you make the best/most accurate deep learning system?” and structure their course around this question. 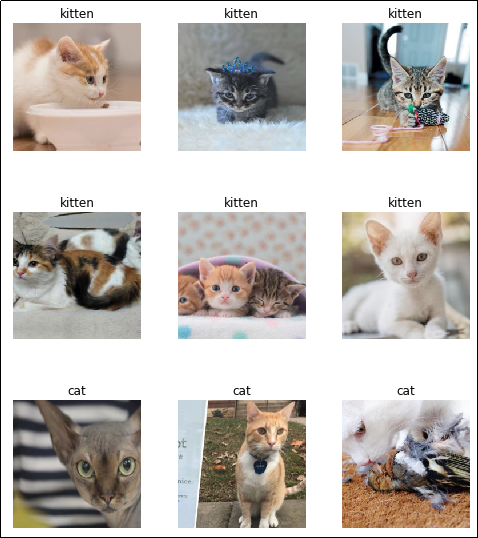 The first lesson focuses on image classification via transfer learning. They provide a pre-trained ResNet-34 network that has learned weights using the ImageNet dataset. This has allowed it to learn various things about the natural world such as the existence of edges, corners, patterns and text. Next we’ll take a look at the data itself. I’ve saved it in data/paintings. We’ll create an ImageDataBunch which automatically knows how to read labels for our data based off the folder structure. It also automatically creates a validation set for us. 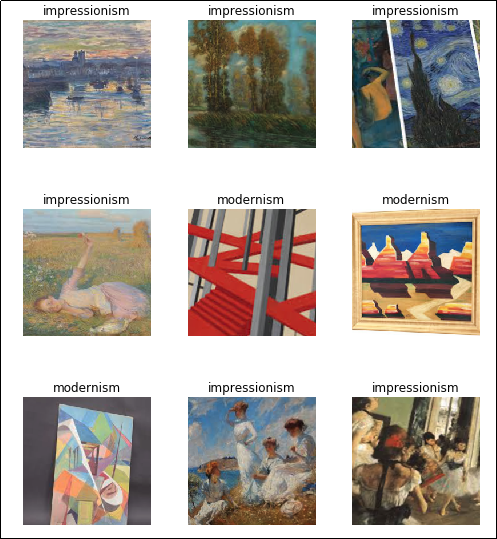 Looking at the above images, it’s fairly easy to differentiate the solid lines of modernism from the soft edges and brush strokes of impressionist paintings. My hope is that this task will be just as easy for a pre-trained neural network that can already recognize edges and identify repeated patterns. Now that we’ve prepped our dataset, we’ll prepare a learner and let it train for five epochs to get a sense of how well it does. Looking good! With virtually no effort at all we have a classifier that reaches 95% accuracy. This task proved to be just as easy as expected. In the notebook we take things a further by choosing better learning rate and training for a little while longer before ultimately getting 100% accuracy. The painting task ended up being as easy as we expected. For our second challenge we’re going to look at a dataset of about 180 cats and 180 kittens. Cats and kittens share many features (fur, whiskers, ears etc.) which seems like it would make this task harder. That said, a human can look at pictures of cats and kittens and easily differentiate between them. This time our data is located in data/kittencat so we’ll go ahead and load it up. Once again, let’s try a standard fastai CNN learner and run it for about 5 epochs to get a sense for how it’s doing. So we’re looking at about 86% accuracy. Not quite the 95% we saw when classifying paintings but perhaps we can push it a little higher by choosing a good learning rate and running our model for longer. 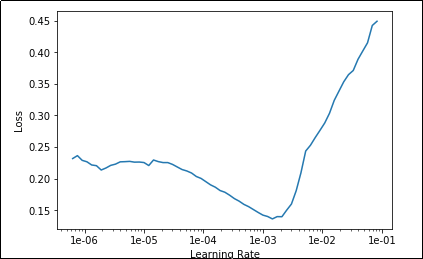 Below we are going to use the “Learning Rate Finder” to (surprise, surprise) find a good learning rate. We’re looking for portions of the plot in which the graph steadily decreased. It looks like there is a sweetspot between 1e-5 and 1e-3. We’ll shoot for the ‘middle’ and just use 1e-4. We’ll also run for 15 epochs this time to allow more time for learning. Not bad! With a little bit of learning rate tuning, we were able to get a validation accuracy of about 92% which is much better than I expected considering we had less than 200 examples of each class. I imagine if we collected a larger dataset we could do even better. 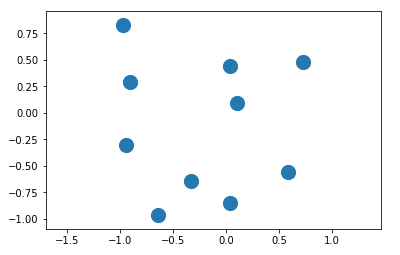 For my last task I wanted to see whether or not we could train a ResNet to “count” identical objects. So far we have seen that these networks excel at distinguishing between different objects, but can these networks also identify multiple occurrences of something? Note: I specifically chose this task because I don’t believe it should be possible for a vanilla ResNet to accomplish this task. A typical convolutional network is set up to differentiate between classes based on the features of those classes, but there is nothing in a convolutional network that suggests to me that it should be able to count objects with identical features. When we create a dataset like this, we’re in uncharted territory as far as the pre-trained weights are concerned. Our network was trained on photographs of the natural world and expects its inputs to come from this distribution. We’re providing inputs from a completely different distribution (not necessarily a harder one!) so I wouldn’t expect transfer learning to work as flawlessly as it did in previous examples. Our dataset might be trivially easy to learn. For example, if we wrote an algorithm that simply counted the number of “blue” pixels we could very accurately figure out how many circles were present as all circles are the same size. We don’t need to hypothesize any further, though. We can just create our ImageDataBunch and pass it to a learner to see how well it does. For now we’ll just use a dataset with 1-5 elements. Samples from our dataset. Notice how fastai automatically performs data augmentation for us! Let’s create our learner and see how well it does with the defaults after 3 epochs. Wow! We’ve pushed the accuracy up to 99%! 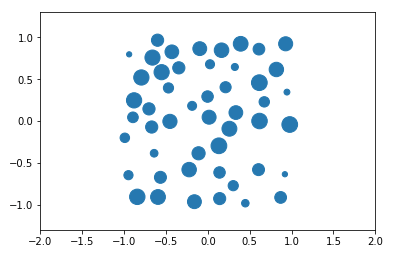 What I would guess is happening here is that there are certain visual patterns that can only occur for a given number of circles (for example, one circle can never create a line) and that our network uses these features to uniquely identify each class. I’m not sure how to prove this but I have an idea of how we might break it. Maybe we can put so many circles on the screen that the unique patterns will become very hard to find. For example, instead of trying 1-5 circles, let’s try counting images that have 45-50 circles. Good luck finding visual patterns in this noise! Hah! That’s more like it. Now our network can only achieve ~25% accuracy which is slightly better than chance (1 in 5). Playing around with learning rate I was only able to achieve 27% on this task. This makes more sense to me. There are no “features” in this image that would allow a network to look at it and instantly know how many circles are present. I suspect most humans can also not glance at one of these images and know whether or not there are 45 or 46 elements present. I suspect we would have to fall back to a different approach and manually count them out. It turns out that we CAN make this work! We just have to use more sensible transformations. 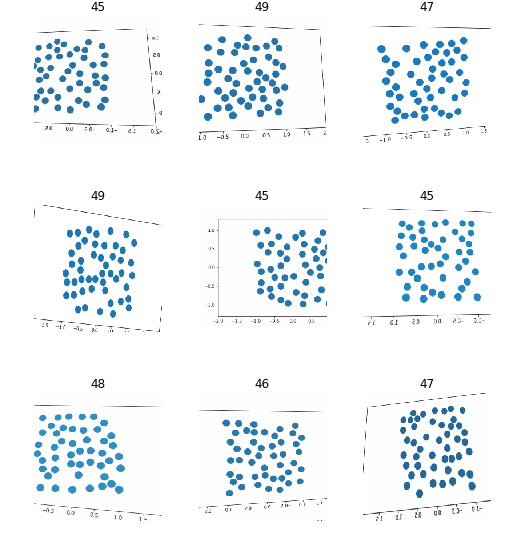 For more info see my next post: Image Classification: Counting Part II. At the end of last year’s retrospective, I set a number of goals for myself. It feels (really) bad to look back and realize that I did complete a single one. I think it’s important to reflect on failures and shortcomings in order to understand them and hopefully overcome them going forward. In January 2018 I began the blog series Learn TensorFlow Now which walked users through the very basics of TensorFlow. For three months I stuck to my goal of writing one blog post every week and I’m very proud of how my published posts turned out. Unfortunately during April I took on a consulting project and my posts completely halted. Once I missed a single week I basically gave up on blogging altogether. While I don’t regret taking on a consulting project, I do regret that I used it as an excuse to stop blogging. This year I would like to start over and try once again to write one blog post per week (off to a rough start considering it’s already the end of January!). I don’t really have a new strategy other than I will resolve not to quit entirely if I miss a week. When I first started reading this book I was very intimidated by the first few chapters covering the background mathematics of deep learning. While my linear algebra was solid, my calculus was very weak. I put the book away for three months and grinded through Khan Academy’s calculus modules. I say “grinded” because I didn’t enjoy this process at all. Every day felt like a slog and my progress felt painfully slow. Even knowing calculus would ultimately be applicable to deep learning, I struggled to stay focused and interested in the work. When I came back to the book in the second half of 2018 I realized it was a mistake to stop reading. While the review chapters were mathematically challenging, the actual deep learning portions were much less difficult and most of the insights could be reached without worrying about the math at all. For example, I cannot prove to you that L1 regularization results in sparse weight matrices, but I am aware that such a proof exists (at least in the case of linear regression). This year I would like to finish this book. I think it might be worth my time to try to implement some of the basic algorithms illustrated in the book without the use of PyTorch or TensorFlow, but that will remain a stretch goal. In February one of my revised PRs ended up making it into TensorFlow. Since I opened it in December of the previous year I’ve only marked it as half a contribution. Other than this PR I didn’t actively seek out any other places where I could contribute to TensorFlow. On the plus side, I recently submitted a pull request to PyTorch. It’s a small PR that helps bring the C++ API closer to the Python API. Since it’s not yet merged I guess I should only count this as half a contribution? At least that puts me at one full contribution to deep learning libraries for the year. There’s not much to say here other than that I didn’t really seek out or attempt any Kaggle competitions. In the later half of 2018 I began to focus on reinforcement learning so I was interested in other competitive environments such as OpenAI Gym and Halite.io. Unfortunately my RL agents were not very competitive when it came to Halite, but I’m hoping this year I will improve my RL knowledge and be able to submit some results to other competitions. While I started off strong and completed lots of problems, I tapered off around the same time I stopped blogging. While I don’t feel super bad about stopping these exercises (I had started working, after all) I am a little sad because it didn’t really feel like I improved at solving questions. This remains an area I want to improve in but I don’t think I’m going to make it an explicit goal in 2019. I did not receive (or apply to) any jobs in ML/AI during 2018. After focusing on consulting for most of the year I didn’t feel like I could demonstrate that I was proficient enough to be hired into the field. My understanding is that an end-to-end personal project is probably the best way to demonstrate true proficiency and something I want to pursue during 2019. While I’m obviously not thrilled with my progress in 2018 I try not to consider failure a terminal state. I’m going to regroup and try to be more disciplined and consistent when it comes to my work this year. One activity that I’ve found both fun and productive is streaming on Twitch. I spent about 100 hours streaming and had a pretty consistent schedule during November and December.